NBC4 will support the Walk to End Lupus Now event at Exposition Park in Los Angeles on Saturday, September 20, 2014. Join NBC4 Weekend Anchor Kathy Vara and "Today in LA" morning news Co-Anchor Whit Johnson as they host and cut the opening ceremony ribbon this year with entertainer and Grand Marshal Nick Cannon. 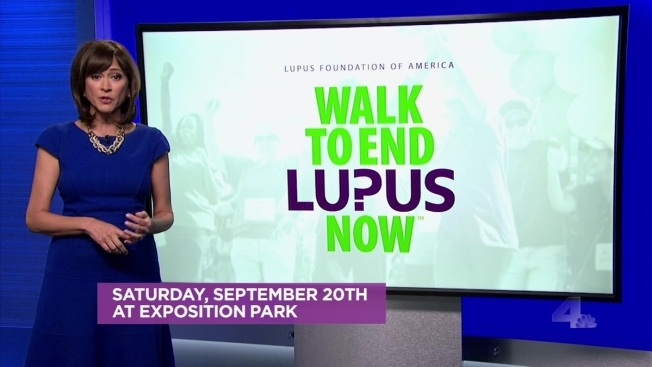 More than 5,000 participants will walk to raise awareness of lupus and call attention to the importance of lupus research. A recent survey found that 72 percent of Americans between the ages of 18 and 34, the age group at greatest risk for the disease, have either not heard about lupus at all or know little or nothing about the disease. Awareness-raising events support the Lupus Foundation of America’s efforts to solve the mystery of lupust. Registration for the walk is open to everyone walktoendlupus.org/losangeles.